We are a vibrant local RA committed to supporting and educating all match officials. 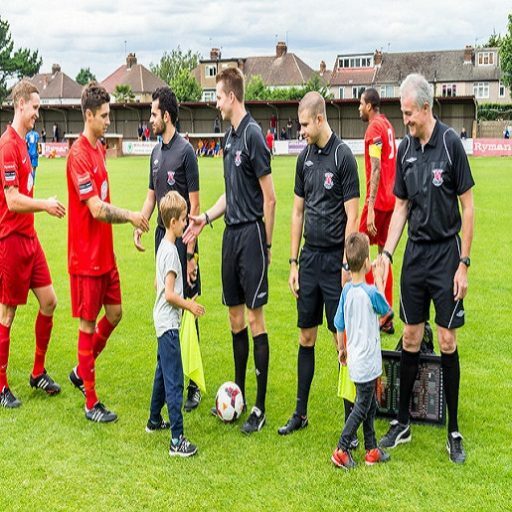 The guest speaker for our March meeting will be Neil Morrison, a Level 3 Middlesex referee operating on contributory leagues such as the Southern League and the Isthmian League and member of a local Referees' Association branch. Neil's presentation will cover fitness, work rate and positioning, a must for all referees. Please make every effort to attend this session and to show your support for a very good Middlesex referee. Don’t forget that preceding Neil’s presentation our Young referees (aged 14 to 25) are invited to the regular referee development club led by Young Referees’ Officer, Sarah Day which starts at 7 p.m.
Congratulations to all the match officials selected for this seasons Middlesex FA Cup Finals and in particular all our members. Section for a county cup final is a prestigious appointment and is a reflection of all the hard work members have put in this season. Joe Casey, Marvin Thompson, Adam Hughes, Andrew Smith, Jordan Coleman, Dave Lea, Dani Mansour, Fadi Mansour, Chris Hartley, Debbie Hartley, Robert Reid and Mitchell Harvey. 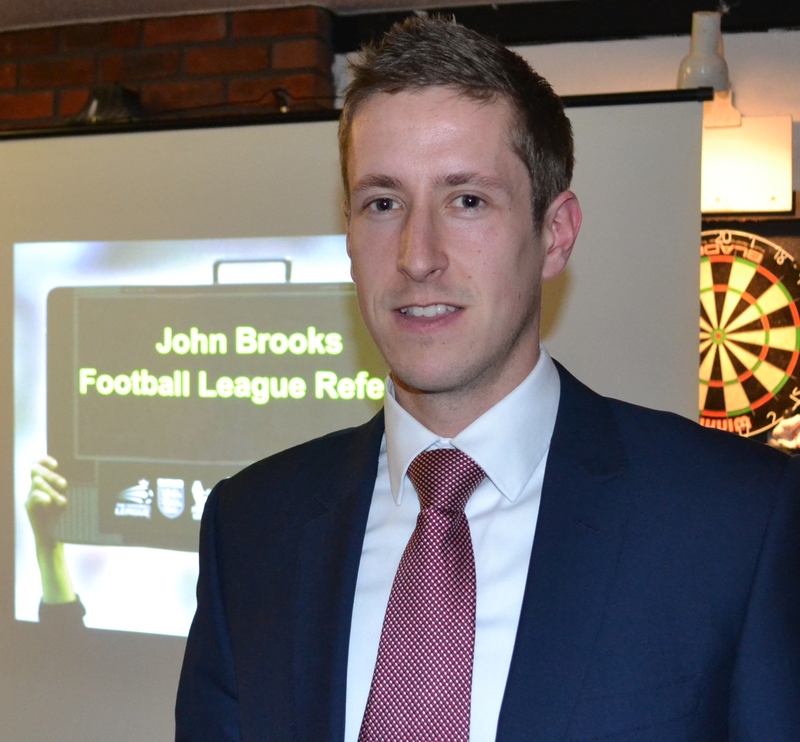 EFL Referee John Brooks delivered a captivating presentation for our February that was engaging and informative is equal measure. The large turnout was rewarded with a wide range of topics which had something for everyone. The two hours in which John was on his feet flew by as members were invited to respond issues and engage in great a deal of educational and thought provoking debate. If you ever get a chance to hear John speak it is an opportunity you shouldn’t miss. 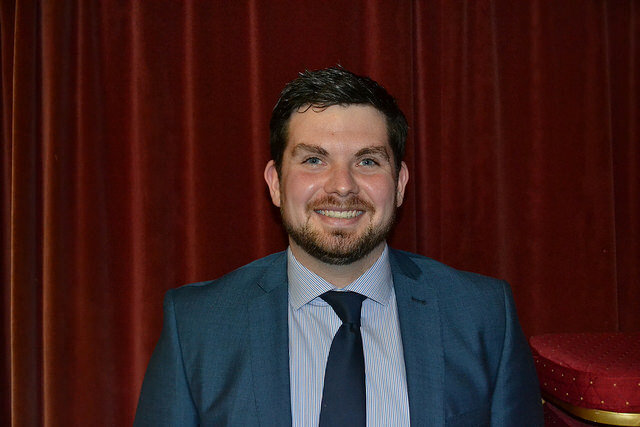 John started refereeing in 2004 aged 14, officiating in the local Leicestershire youth leagues for a couple of seasons. After reaching level 3 he was promoted to the National List of Assistant Referees in 2011. Promotion to the select Group followed in 2012 and he was invited onto the FIFA Assistant referees list in 2015 after attending the UEFA CORE programme which was hugely beneficial. John continued to act as a referee as well and for the season 2015-16 was a panel 2a Referee. John officiated at Wembley as an assistant referee in the 2012 League 2 Play Off Final, the 2014 FA Trophy Final & Championship Play Off Final, the 2015 Community Shield and two FA Cup Semi Finals and the 2016 FA Cup Final between Manchester United and Crystal Palace. In Summer 2016 at the age of 25 he chose to change direction and solely referee on the English Football League. How Can Harrow RA Help? 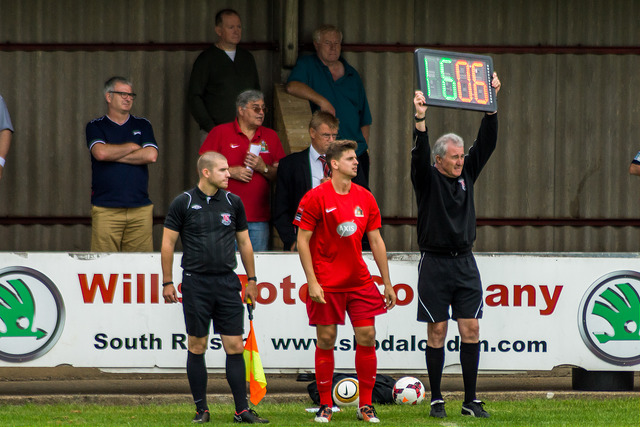 The Harrow Referees' Association is here to help you through your involvement as a football referee. Young or old, looking to take the course, an eye on promotion, being an observer or just wanting to learn and socialise with other match officials the Harrow RA is here to offer support and advice. We meet once a month during the season and offer a number of great opportunities to interact with colleagues at all levels of the Refereeing spectrum. Copyright © 2019 Harrow Referees Association. All rights reserved.